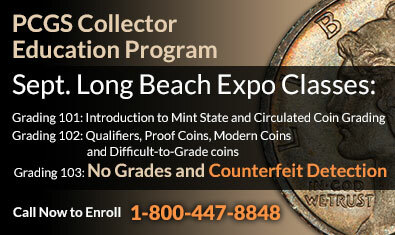 Every year the U.S. Mint produces billions of coins for circulation and they're all round in shape. What other shape would you like to see? Participate in the PCGS Newsletter Survey and you could win a 2009 $1 Australian Koala PCGS SP valued at $75.00. PCGS Lead Photographer Phil Arnold discusses some techniques and challenges in shooting proof coins. Did you know? The obverse of the Libertas Americana medal, one of the most cherished medals relating to American history, served as the inspiration for some of the U.S. Pattern coinage of 1792 and for the first U.S. Half Cents in 1793? 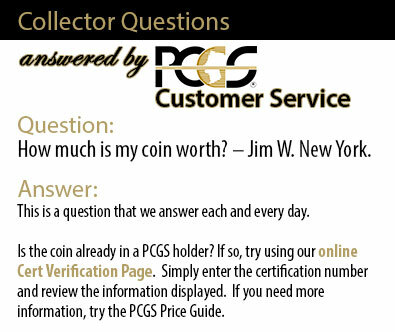 Get detailed coin information, pricing, population reporting, auction prices realized, rarity and survival estimates and condition census on Libertas Americana medals and all US coins with a free trial to PCGS CoinFacts. Would you believe that the sinking of a single cargo ship could hasten the sinking of the entire U.S. economy? The Ship of Gold tells the tale.